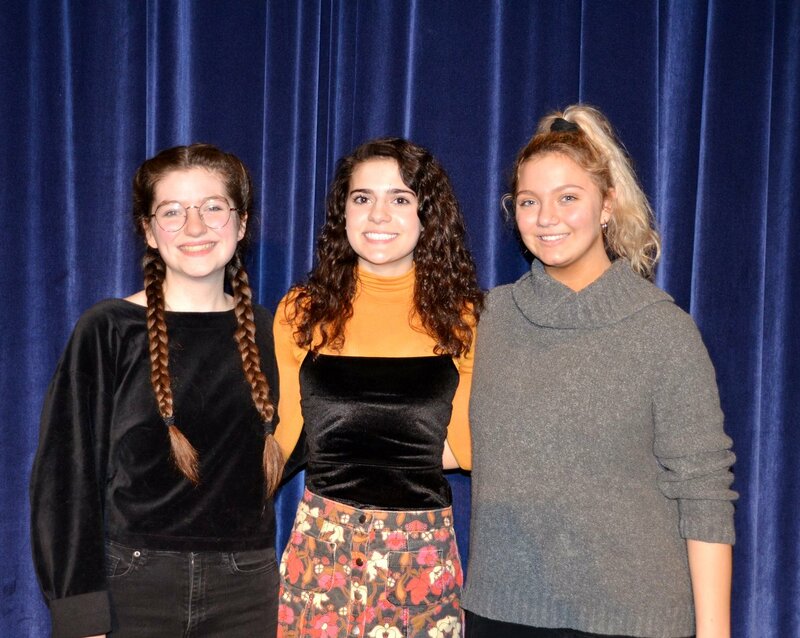 The words of Shakespeare came alive at Merion Mercy Academy on February 5, as students competed in the school's annual Shakespeare Competition. Students presented monologues from a variety of Shakespeare's plays. Gabrielle Bass '19 (center) won first place and goes on to the Philadelphia Branch competition later this month. In second was Victoria Conroy '20 (right) and third place went to Grace Brazunas '20 (left). The Shakespeare Competition is sponsored by the English Speaking Union of the United States and designed to help high school students develop their understanding of Shakespeare's works. Contestants from across the country advance from school contests to community competitions, and, finally, to a national competition.